So, you have just decided to purchase one of the used laptops you saw online. Wise decision, as you can save money, and be sure that the device has been checked and fixed. But there are a lot of things you need to consider before you make the purchase final, and one of the most important features is the screen: should you go with matt or glossy? Here is some information that could help you make the decision. Similarity: They both use the same panels; the difference mainly lies in the coating applied to the screen, and of course, the effect they both have when you view the screen. Glossy displays are more vivid and have better contrast, with more intense colours and better saturation. However, as it is very smooth, if you shine light on the display, you can notice significant reflections. This is why, sunlight coming through the window onto the screen can make the screen almost unusable. Unwanted glare can also be very disturbing when you work and may affect your productivity; or, if you’re watching a movie or playing a game, you won’t be able to enjoy the visuals as much. Matte screens feature an anti-glare coating applied, preventing reflections, making it perfect for use in a bright room – regardless of whether the brightness is due to natural light or artificial. This polarizing layer is coarsened through mechanical and chemical processing, like multi-layered spluttering or dip coating combined with chemical surface treatment. This has the effect of diffusing ambient light. 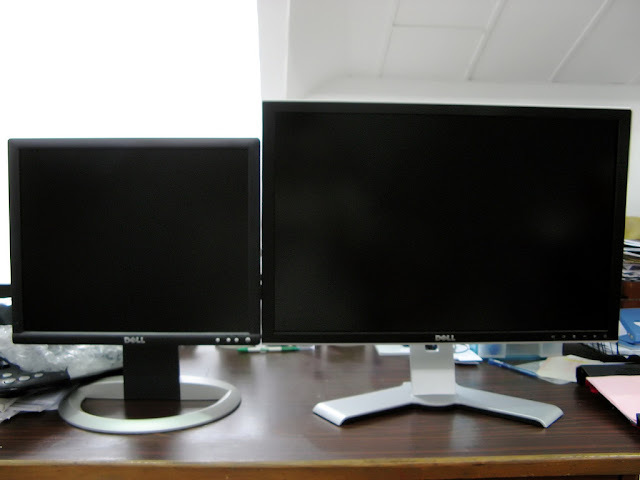 Of course, things change with technological advances, and today there are several companies who manufacture glossy screens with anti-glare features like anti-reflective chemicals or silver nano particles. Still, don’t expect them to be as non-reflective as matte screens. So one way to decide between the two is depending on the room you plan to use the laptop. If it’s a bright room, a matte screen may be better for you, and if your room is dimly lit, then you would need a glossy screen. Again if you’re going to spend a lot of time outdoors when you use the laptop, a matte screen wins the debate hands down. If you’re a graphic designer, are into gaming, or watch a lot of movies and videos on your laptop, then it goes without saying that only a glossy screen will deliver satisfaction. Today, some companies are even offering a half-way solution: semi-glossy screens. These are essentially smoother matte screens offering weaker light diffusion and relatively low haze; they still are not as bright and clear as glossy screens.